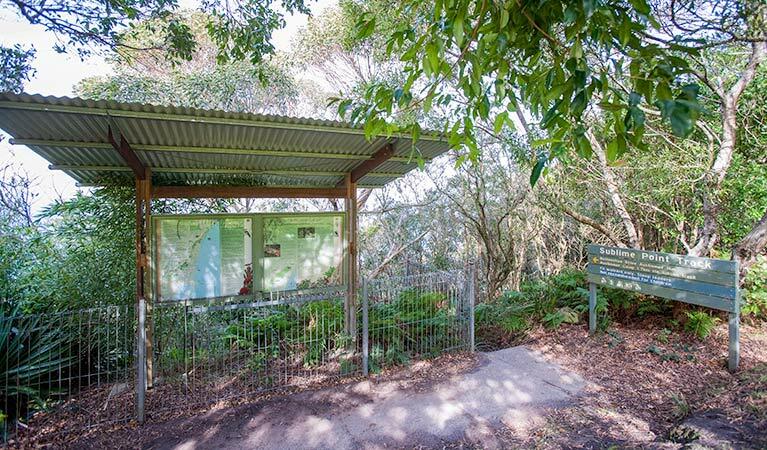 For a challenging walk through rainforest, Sublime Point walking track offers great birdwatching and scenic views across Illawarra Escarpment State Conservation Area. 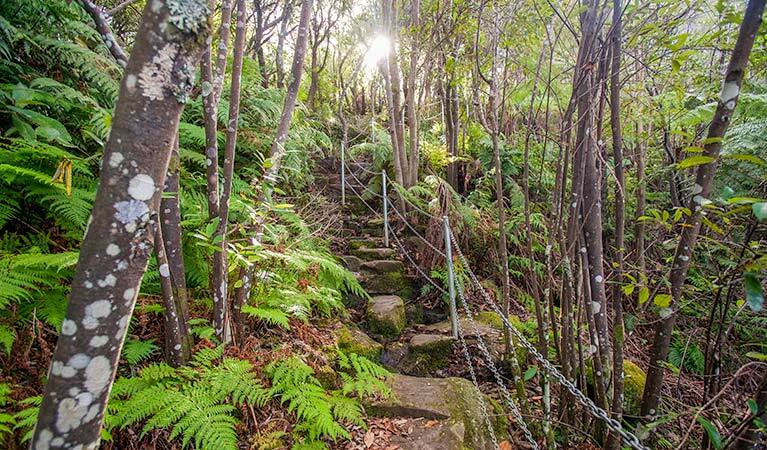 Sublime Point walking track is one of the iconic treks of the Illawarra escarpment, and a challenging walk through lush coastal rainforest to the plateau above with incredible scenic views. 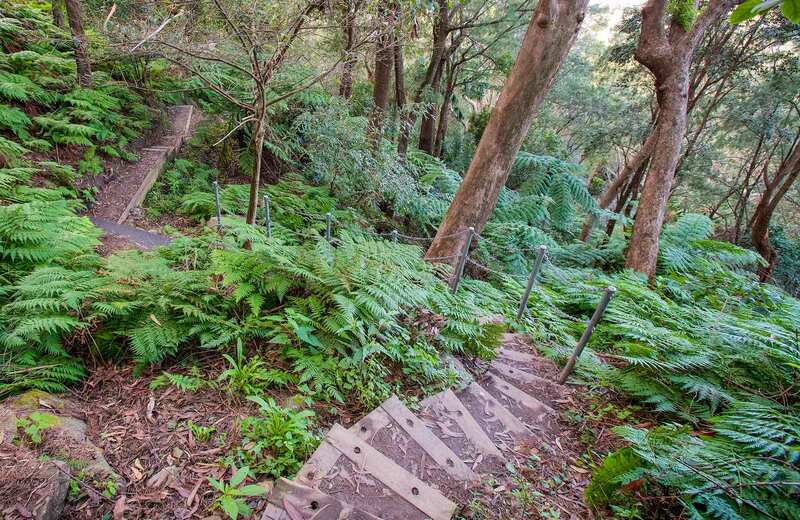 The steep climb is ideal for experienced bushwalkers and a great nature escape only an hour from Sydney, north of Wollongong. 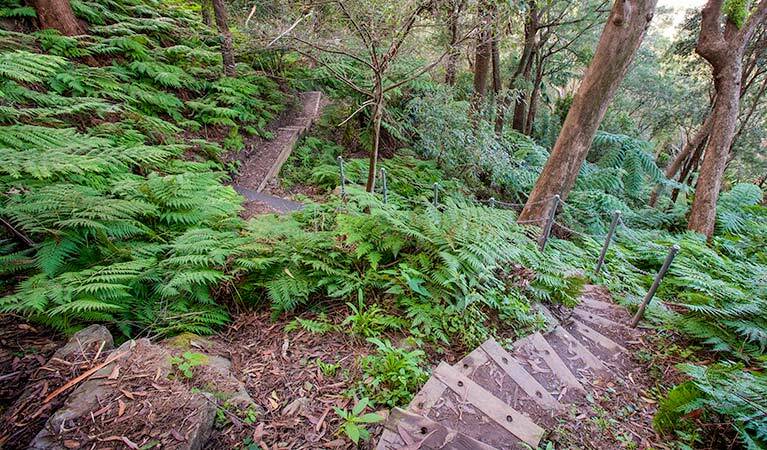 Starting near Sublime Point, the track descends steeply from Sublime Point lookout down the escarpment cliffs, through dense forests dotted with tree ferns and palms. Stop for a breather for some great birdwatching, and look out for yellow-tailed black cockatoos or raptor birds such as falcons and kestrels. 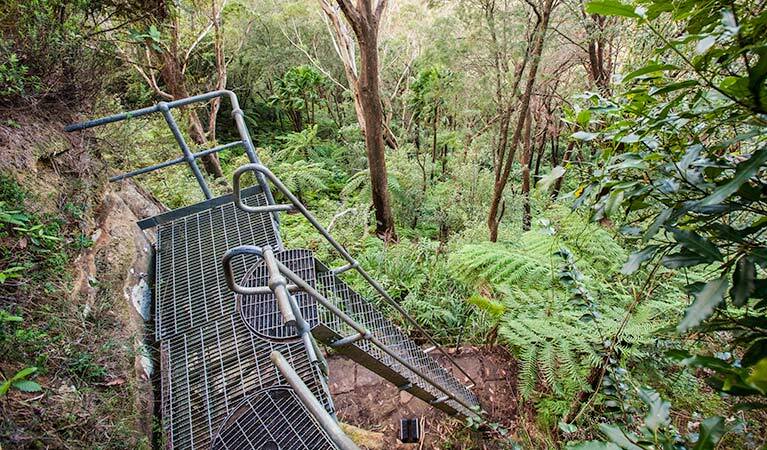 A series of ladders and a giant staircase allow you to rock-hop your way down to Austinmer. Enjoy lunch at the picnic facilities or nearby cafe before heading back down. If the hike up is enough for you though, you can organise a pick-up at the bottom of the track, or catch a train home from Austinmer Station. 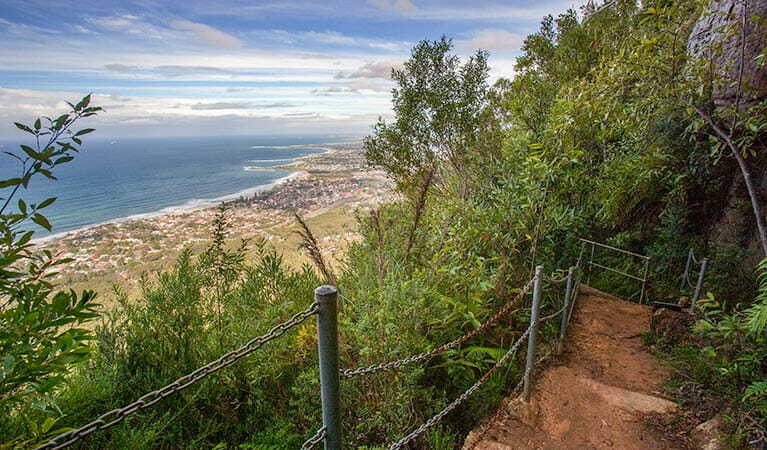 Take a virtual tour of Sublime Point walking track captured with Google Street View Trekker. Illawarra Escarpment State Conservation Area is always open but may have to close at times due to poor weather or fire danger. However, it is recommended that bushwalking only be undertaken during daylight hours because of the presence of cliff edges and other hazards.